Central Railway has published Advertisement for below mentioned Posts 2018. Other details like age limit, educational qualification, selection process, application fee and how to apply are given below. 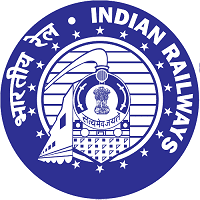 Railway Recruitment Cell, Central Railway (RRCCR), Mumbai invites Online applications for recruitment against open market Sports Quota in Central Railway for the Year 2018-19. The Central Railway Sports Quota 2018-2019 open advertisement has been published in Employment News paper 10th Nov 2018. Sports / Games Disciplines: Swimming / Diving, Athletics, Basketball, Cricket, Badminton, Cue Sports, Boxing, Hockey, Kabaddi, Weight Lifting, Wrestling. For Grade Pay ₹ 2800 / 2400 (Level 5/4) -> Minimum Graduation (Bachelor’s degree) in any faculty by a recognized University. For Grade Pay ₹ 2000 / 1900 Level 3/2) -> Minimum HSC/ Intermediate/ Equivalent by a recognized Board. Age Limit: Minimum 18 years and maximum 25 years as on 01/01/2019. Candidates born between 01/01/1994 and 01/01/2001 (both days inclusive) should only apply. For Level 5/4 Posts -> Represented the Country in Olympic Games (In Senior Category) (OR) At least 3rd Position in World cup (Junior/Senior Category) (OR) At least 3rd position in World Championships (Junior/Senior Category) (OR) At least 3rd Position in Asian Games (Senior Category) (OR) At least 3rd Position in Commonwealth Games (Senior Category). Selection Process: Trial and Interview. Candidates must bring original certificates of Date of Birth, Educational Qualification and Sports related Certificates on the day of trial and interview, without which they shall not be permitted to appear in the same. Application Fee: ₹ 500/- for Unreserved and OBC candidates, ₹ 250/- ( for SC/ST candidates, Ex-Servicemen, Women Candidates, Persons with Disabilities, Minority candidates, and candidates belonging to Economically Backward Classes) with a provision for refunding the same to those who are found eligible as per notification and actually appear in the Selection Trials. Candidates in this category should check their eligibility thoroughly before applying. Fee in respect of candidates who are ineligible, but still apply shall not be refunded. The fee can be made through Online payment Gateway.